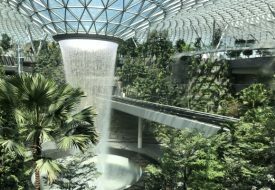 While the highly-anticipated lifestyle hub Jewel is only set to open in 2019, Changi Airport has whetted our aviation desires with the unveiling of the newest Terminal 4. 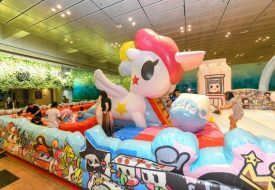 Though it may be Changi Airport’s smallest passenger terminal, T4 is still mighty in its own right, touting posh boutique interiors bedecked with state-of-the-art tech machines that are currently available only at this aviation abode. The terminal is expected to hold a capacity of 16 million passenger movements a year, while a total of nine airlines – the Air Asia Group (four airlines), Cathay Pacific, Cebu Pacific, Korean Air, Spring Airlines and Vietnam Airlines will begin operation in conjunction with the terminal’s opening. Aside from over 500,000 plants that will fill the entire terminal, watch out for a fleet of adorable automatic cleaning robots making their rounds to ensure everything is spick and span. If you have a serious aversion to human interaction, T4 will certainly delight with its self-service kiosks that allow a fully automated departure process. 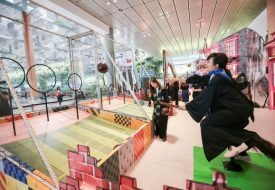 From check-in and bag drop to immigration and boarding, these high-tech marvels are the terminal’s bid for a fast, seamless and potentially wordless travel. 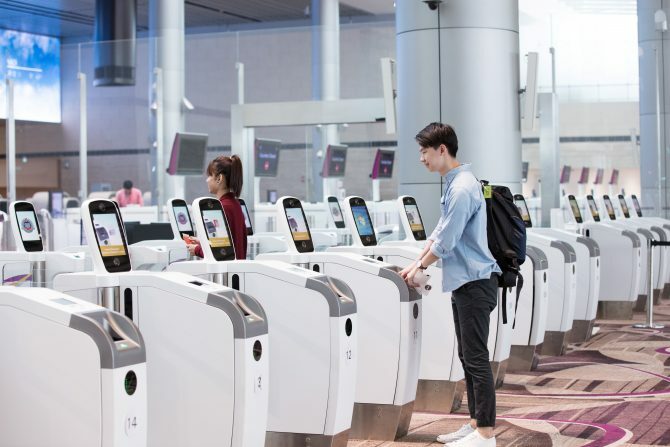 Furthermore, T4’s extensive use of technology includes facial recognition software which can authenticate the passenger’s identity, hence removing the need for manual verification by security. However, then begs the question – where will all the Lee Minweis go?